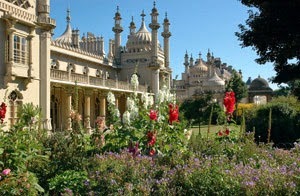 The Royal Pavilion, in the heart of Brighton’s city centre, is a must see. Described as ‘a monument to style, finesse, and technological excellence and above all pleasure,’ it’s the ultimate in extravagant decadence. A little wander around the palace will provide you and your date with ample conversation, making it a good venue for those nerve-wracking first dates. And there is a gorgeous café, where tea is served in cast iron teapots and the cakes are pretty great too. After your educational trip to the Pavilion, head to Plateau for an evening of great wine and beautiful food! Plateau prides themselves on their wine list; all bottles are ‘natural wines’ which promote ethical farming, sustainability and quality. So you can feel good whilst you pop open that second bottle! 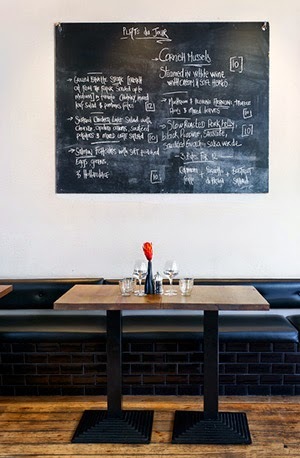 Their menu is designed around the idea of sharing, so it’s perfect for a romantic date. The Bees Mouth is a lovely bar, with live music, film screenings and even life drawing classes. The atmosphere is relaxed and friendly, and they’ve got a lot of drinks on offer! If you’re on a date, we’d recommend heading there to catch some live music; at the time of writing this on Monday it’s Jazz, Wednesday it’s open mic, and Thursday’s are featured bands. But do check their FB page before you go! For a bit of culture and plenty of conversation topics, go to Brighton Museum & Art Gallery. The museum underwent a £10million redevelopment way back in 2001 so it’s pretty fancy now. And there’s loads to see; an Art Nouveau Decorative Art & Design gallery, a gallery dedicated to the history of Brighton, a Performance gallery exhibiting puppets, masks and instruments from all over the world….and a lot more. Well worth a visit. The Lanes are full of independent shops and boutiques, you could get lost for hours discovering beautiful things! It’s a maze of twisting alleyway, crammed with quaint shops and funky restaurants. So if you’re completely lost for something to do, just head to The Lanes. You’ll no doubt come out with bags full of trinkets, a belly full of beer and (hopefully) a heart full of romance (ahhh). This Jamaican music bar is an amazing late night dancing spot. 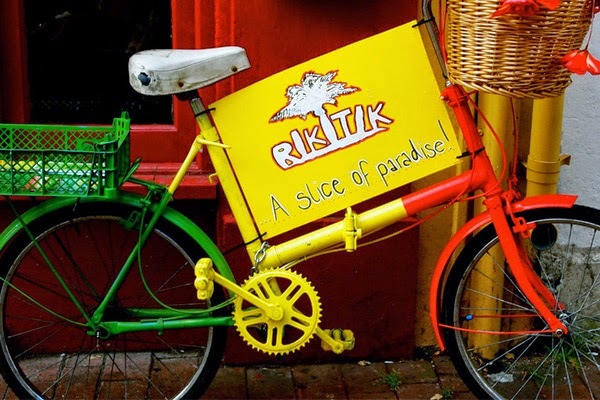 Playing Jamaican and Caribbean music, from Mento & Calypso to Ska, Roots and Dub, you and your date can escape to your own little paradise at Riki Tik. We love this 50s & 60s themed coffee bar! The food and coffee is good, AND they have a jukebox. So if you love your music, then Rock Ola is an awesome place to take a date. They also have their own record shop, The Wax Factor, so once you’re done playing your favourite tracks you can go and buy them! 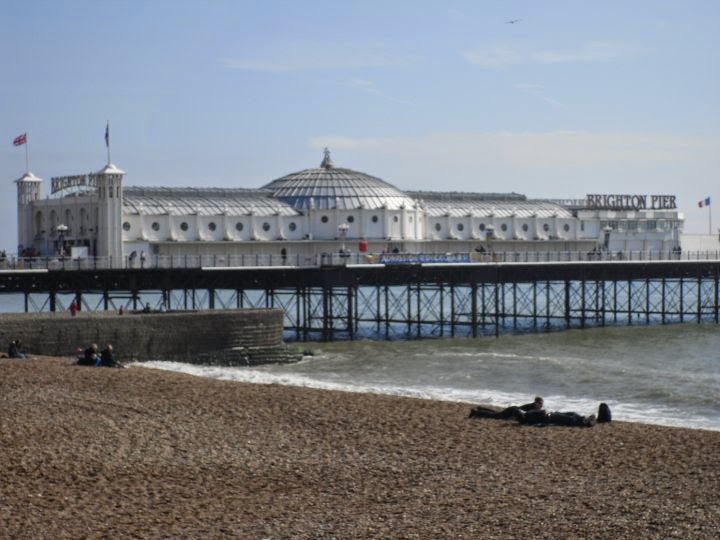 You can’t visit Brighton without going to the Pier! There’s restaurants, rides & attractions and arcades; that’s just hours of fun right there! It’s very ‘touristy’, but hey, winning your date a teddy from one of those grabby things is romantic. All the films say so. Pack a blanket, a bottle of wine, fish ‘n’ chips and watch the sun go down from the sea front. Our favourite is Bardsley's, this award winning restaurant do a great fish ‘n’ chips! Now you’re ready for your seaside trip, head on over to Flirtify and find a date to take with you!